A railway museum in Holland is seeking help in its efforts to restore a USATC four-wheel boxcar recently "saved" from use as a cattle shed. Writes Hans Altena, a member of the STIchting tot Behoud van Af te voeren Nederlands Spoorwegmaterieel Society (STIBANS) , "We are seeking information on builder(s), drawings. photos and descriptions of materials used in this type of car. " He continues, "we are also interested in learning of other USATC cars still in existence, service or preserved world-wide, but particularly in Europe." Example of USATC boxcar in service (above) and as recently rescued for restoration by the STIBANS Society in Holland (below). Photo by Hans Altena. Hans says there are five USATC cars known to be in use as sheep sheds or storage buildings in Holland. 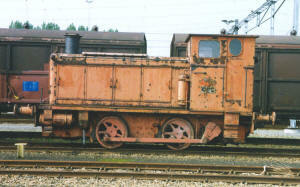 There are also two WD flatcars preserved at another Dutch railway museum. Since approximately 22,000 USATC cars of five types (box, flat, gondola, tank and guard (caboose)) were know to have been built, he hopes other examples may still remain. 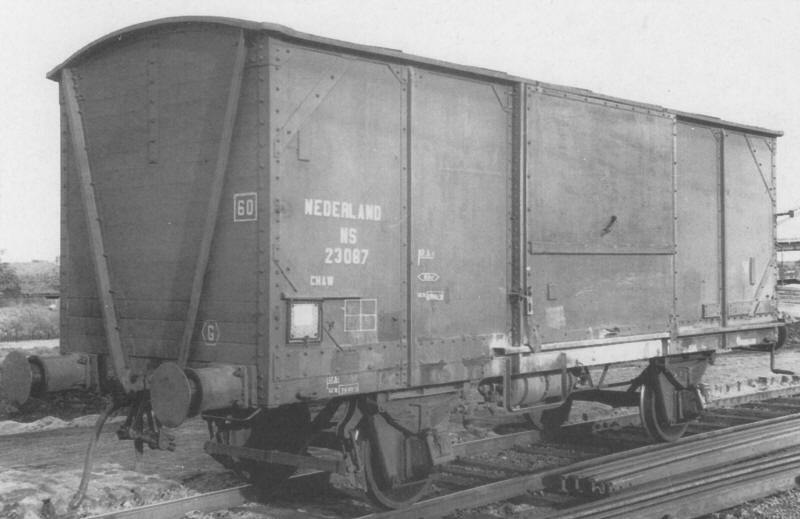 Dutch railways received about 2,000 USATC cars following the war, many of which remained in service for up to 10 years. The STIBANS group is also completing restoration of a small WD diesel shunting loco, after which they plan to begin restoration of their WD boxcar. 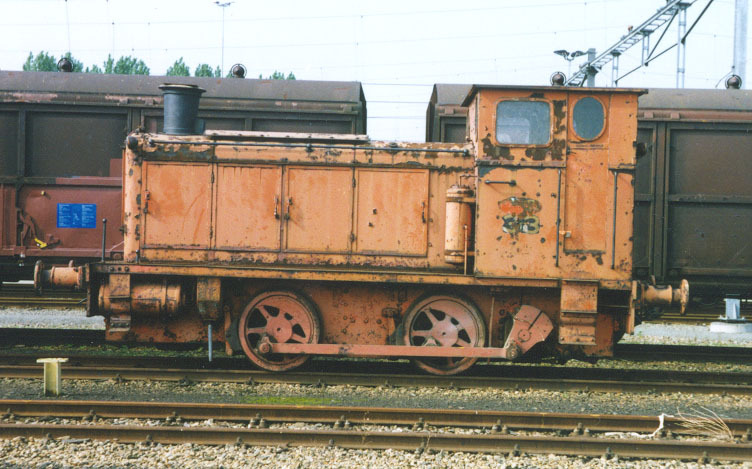 Mr. Altena and his friends are restoring this War Department diesel shunting locomotive at the STIBAN Society Museum in Holland. Photo by Kees Mooij. or by e-mail to TT501@quicknet.nl.